He knew his player had a howler but he wasn't going to throw him under the bus. Loris Karius had an absolute nightmare of a Champions League final. The German was at fault for the two Real Madrid goals that in the end, were the difference between the sides. The young German is out of his depth at this level and that much has been clear for quite a while now. When Liverpool lost patience with previous number one net-minder Simon Mignolet, it should have been their number one priority to bring a secure number one to Anfield. Jordan Pickford, for example, is flourishing over at Everton and he could have been the ideal man for the job. Instead, the pressure was heaped on Karius' seemingly incapable shoulders. Saturday night will be tough to take for Liverpool fans. It will be tough to take for Jurgen Klopp but none of them will have it as tough as Loris Karius. This man will have sleepless nights, he'll have doubts, he'll have regrets, flashbacks and nightmares. He'll have to live with the fact that he cost his club on the biggest stage of all and that will be crushing for a young, inexperienced player. 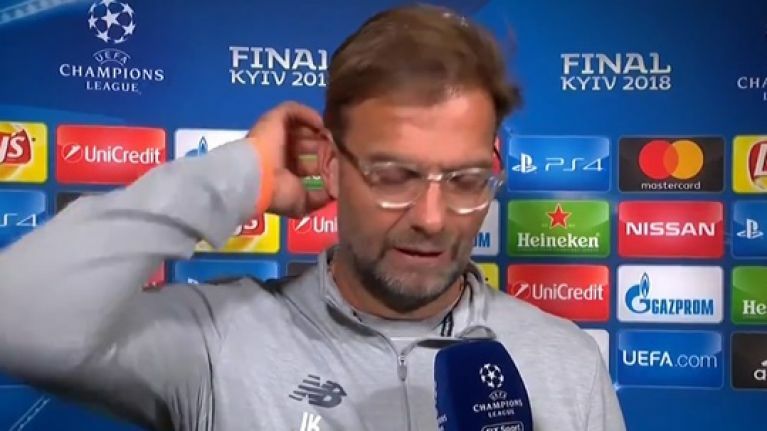 Jurgen Klopp was speaking to eir Sport immediately after the game and his comments on his 'keeper really were the epitome of class. He wasn't going to blame his man, he would stand by him. He wasn't going to throw him under the bus, he was going to create an excuse for him. "What can I say? I think Loris knows it, everybody knows it, that's it. "It's a shame, in a game like this and after a season like this, I really feel for him. Fantastic boy, first one, and of course the second one, I think it's because of the first one. It's really difficult to get rid of the bad thoughts you have in your mind in a game like this." That's why the Liverpool players love Jurgen Klopp.